Commissioner Victor Reichman spent more than half his life on the bench and was the state's youngest judicial officer when he was appointed. 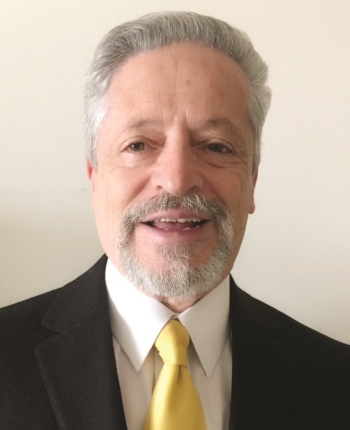 He devoted the majority of his career to resolving civil litigation in mandatory settlement conferences in Antelope Valley and in family law. Commissioner Reichman is highly regarded by his fellow jurists and attorneys who have appeared before him for his ability to find common ground among disputing parties and his extremely impressive settlement rate. He is described as professional, intelligent and fair. Commissioner Reichman has written articles and case materials for the California Center for Judicial Education and Research (CJER) on Family Law Issues/ Child Support Orders. His CJER programs received the participants' highest ratings and he was praised for the consistency of his presentations. During his tenure, he handled every possible Superior Court assignment. Commissioner Reichman has lectured to judges on various topics, including discussing techniques on settling cases. Personal Injury, Real Estate, Family Law, Business/Contracts, Medical Malpractice, Construction Defect, Habitability, Sexual Harassment and Employment Law. Commissioner Reichman retired in March 2008 from the Los Angeles Superior Court after serving for 33 years. Most of that time, he was a Commissioner in Antelope Valley, where he was an integral part of the judicial team. Judges routinely sent civil cases to Commissioner Reichman for mandatory settlement conferences and he was known to have the highest success rate of anyone who had ever held that position in Lancaster. Commissioner Reichman began his career practicing law in Norwalk (1970- 77) and quickly became the Western Regional Counsel for the air traffic controllers during their sick-out, serving alongside national counsel F. Lee Friedman Bailey. He also represented Compton Mayor Doris Davis, the first female African- American mayor of a metropolitan city, a case involving residency issues in which Melvin Belli was lead counsel. Commissioner Reichman was encouraged to become a referee by a judge who was impressed with his trial skills. He was appointed the day after he was eligible, becoming the youngest Superior Court judicial officer in California at the time. He served as a juvenile court referee from 1975- 77 and sat in every juvenile court in Los Angeles. In 1976, he opened the first juvenile court in Antelope Valley. In 1977, he was elected to be a Commissioner by the Superior Court Judges. Commissioner Reichman is available in Antelope Valley, Los Angeles and Bakersfield.